A book with a dual timeline containing letters from the past set against the background of a second-hand bookshop was always going to appeal to me so I was especially delighted when this ARC dropped through my letterbox. The book starts with a letter to Dorothea dated February 1941, the very letter that Roberta finds amongst her Grandmother’s possessions, written by her Grandfather after he died. At the beginning of World War II Dorothy is hanging out washing when an aeroplane crashes into a field behind her house. Alone and aloof Dorothy opens her heart to the possibility of happiness when Jan Pietrykowski, the Polish Squadron Leader comes to visit her following the crash, but how does this link to the letter found amongst her grandmother’s belongings? Roberta is keen to unravel the mystery but who can she ask? Her elderly Grandmother or her desperately ill father? I have to admit although I was really looking forward to reading this book, I didn’t warm to either Dorothy or Roberta at first. Roberta in particular seemed a strange young woman, who in this day and age fears they are past it in their early thirties? I was irritated by her comparing herself female colleagues in the second-hand bookshop who after all were only a few years younger and I feared that this book was going to be a disappointment. Dorothy’s misery was more easily understood, living in a little cottage in Lincoln, estranged from her mother, abandoned by her husband and mourning her childlessness. However it didn’t take long for their stories to worm their way under my skin and I fell in love with both stories, past and present, willing the two women on to find happiness. There is much to enjoy in this debut novel particularly the letters whose inclusion made me mourn the fact that it is less and less likely that a bookseller will find such missives in the future! The settings are described to perfection, I could easily picture the little cottage, the bookshop which I ached to visit, as well as clearly understanding why Dorothy stood apart from her fellow villagers thereby becoming a main source of their gossip. A book with a lot of charm to sweeten a tale of love and loss. I have a feeling that this book is one that will linger in my mind, there is such a lot of emotion, mainly supressed contained within the pages. I received my copy of this book from Lovereading as I am a member of their review panel and as such is my honest opinion of this debut novel due to be published 27 February 2014 by Hodder & Stoughton. Oh man, does that ever sound like a book I’d love! Excellent I do hope you enjoy it! Thank you. I’m still feeling like maybe it should have been a 5 star read but the character annoyed me in the beginning. Thanks for putting this one on my radar. It sounds fantastic! Happy New Year! 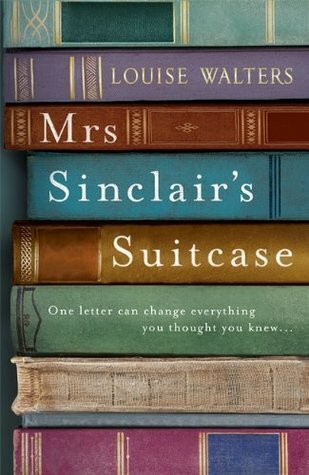 I thought it was a great read, I love books which contain letters. Many thanks for reading and reviewing my novel, Cleopatra, I really do appreciate it. Roberta was a bit of an issue right from the start, had to work quite hard on making her a more sympathetic character. It really helps to read reviews like yours to see where things work and where they don’t. Hope 2014 brings you loads of great books to read and review, thanks again. Hi Louise, how lovely of you to take the time to comment! I really enjoyed the book and I really wavered between 4 & 5 stars. I wish you all the best for 2014 and hope it includes many sales of this book and hopefully you are writing another? I have made a start on another story, long way to go but hopefully it will pull together and become a novel. Pingback: Friday Finds – 28/02/14 | Im Lesefieber! Oooh! I’m definitely going to check this out. It seems like a book I’m going to enjoy reading. Glad you enjoyed it. This book had all the things I love in it; a bookstore, old letters and World War II. It is now some months since I read it and I’m still thinking about parts of it which is a good measure of an enjoyable read! I hope you enjoy it too.